Trigger warning: the topics of losing a loved one and teenaged death are discussed in this post. I am going through a tough time at the moment. My grandmother, who raised me in my early years, is very ill. She is unresponsive in hospital, and it’s looking like I’ll never get to speak to her again. So although she is not completely gone yet, I am already missing her. I will probably be writing a few posts about my grief and in tribute to her when the time is right. In the meantime, I asked the wonderful Hayley from Mission: Mindfulness – the blog to share some thoughts on how to cope when we lose someone who means the world to us. Hayley’s thoughts here are helping me every moment that I wish I could hear my grandmother’s voice on the phone. 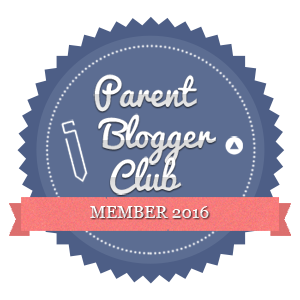 Nicole wrote to me a few weeks ago asking me to write a guest post for The Mum Reviews blog. Nicole is a blogger buddy of mine who I didn’t want to let down, and I was honoured to be asked. I really wanted to write something that fitted with her remit of mindfulness and suffering a loss, yet I was fearful of writing such an important post. I am certainly no therapist and not an expert in grief management, but said I’d have a think and get back to her. And then yesterday I knew what I wanted to write, so here it is. And then suddenly an unexplained and unanticipated sadness hit me – coming from what seemed like nowhere. I was transported to a different place and time. But, as I tuned into the song on the radio, I recognised what was going on. Oasis’s “Masterplan” had started to play. My chest felt like I’d been squeezed too tightly in a big, unsolicited hug, and my eyes prickled in the familiar sensation I feel when tears are close. Although nearly 20 years ago, the power of music was able to vividly remind me of a tragic event. A time when the fragility of life became palpable to me. The time when my older sister’s boyfriend was suddenly taken from the world in a tragic car accident. We’d all had a fabulous summer – working and playing together. It was the era of Britpop, and some of us were enjoying the twilight of our teenage years, while others were embarking on the beginning of their 20s. I recall the new Oasis album had been playing A LOT as we drove around the country roads of Lincolnshire, causing great debate. Some of us loved it – Adam, my sister’s boyfriend, being one. Others of the group were not so sure. That I remembered all of this as if it were yesterday is testament to how powerful music can be. At that moment, the sadness of losing Adam seemed as raw as it had at the end of the 90s. And yet Adam had not been my sweetheart. Nor my son. Nor my grandson. Nor my brother. Nor my best friend. And so I can only begin to imagine how many times, and how intensely, this happens to people who were these things to him. And as my thoughts overtake me, whisking me away from my residual feelings, I wonder: how did they cope? Of course it would be crude to speak of a hierarchy of grief. Yet in reality it seems that the rawest of emotions come when a person is taken from us too young. By this I don’t just mean someone of a similar age, or younger, to the beautiful Adam, but even someone much, much older who still also seems to have so much life and living left. That sense of injustice and anger which mixes with the deep sadness of the grief must be an almost overpowering blend of emotions. Understandably these can lead to very dark thoughts. Until recently it has seemed the norm in our culture – in keeping with the idea of the British “stiff upper lip” – not to allow these thoughts and emotions to consume us. Rather, to distance ourselves from them as quickly as possible, to distract ourselves, or worse still for our “inner critic” to take over and berate us for not “coping” as we perceive we should. Instead, Rumi, the 13th century Muslim poet (much quoted on Mindfulness courses and retreats) offers a different perspective. The suggestion is to allow these feelings and thoughts to freely come and freely go. Without judgement. To be with them for a moment or two. If that feels okay at that particular moment in time. To view these thoughts and feelings as passing guests and treat them accordingly. This principle, so important to mindfulness, is eloquently described in Rumi’s poem The Guest House. Wishing all who are going through difficult times at the moment much love. By way of easing myself into a new year of blogging, I’m completing this quiz tag post thingy that’s going around. My writing muscles (like all of my other muscles) have gotten a little soft and slack during my lovely Christmas break, so I need to give them a bit of warm up before going full speed. Perhaps most people did this quiz before the end of last year, but I’m sure it’s still relevant, at the start of a new year, to carry on reflecting about the one that has passed. Thanks to Kelly from Nature Mum Blog for tagging me for this. We built an extension! Right across the back of our house, we built a new kitchen diner, and converted the old kitchen into a downstairs toilet and utility room. It took 5 months and a lot of money and stress, but it was totally worth it. We had been living with a single room for both living and dining and it was a bit of a cramp for a family of 4 – especially since it’s important to us to eat together round the table. Now we have this wonderful family space and room to entertain guests as well. Look for a full post on this topic sometime soon. Obviously, 2016 was the year when some of our favourite stars from our youths started passing away. It’s been a bit of a thing to be incredulous and to blame 2016 for it’s scourge on celebrities, but I have a feeling it’s just part of getting older in a culture far more media-obsessed than the one our parents grew up in. So we need to get used to this. Take time to breathe! My life got pretty busy in 2016. 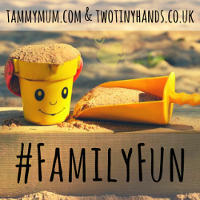 My eldest started school, I started this blog, I was working 4 days per week, and the building works were stressful. I also had surgery and some other emotionally and physically stressful things happen. I learned if I don’t take time to practice a bit of mindfulness, then I start to have some serious issues with anxiety. So now I take regular breaks just to breathe. My favourite blogger who keeps me on track with this is Mission: Mindfulness. I’ll be guest posting on her blog soon about my mindfulness journey! Our neighbours from across the street came round with their kids from 3-6pm for the kids to play while we imbibed cava and spicy chicken wings. Party on down, I know! After the neighbours left, my husband and I put the kids to bed and carried on with the cava and junk food in front of some spectacularly awful TV. Did anyone else see Robbie Williams groping himself live on the BBC?? At least we managed to stay up until midnight. Just live normal life and appreciate the little things. Be a fab blogger – with all the right stats – but to keep on keeping it real. Stop looking at my phone when I’m supposed to be playing with my kids. Do something new that scares me – I’m not sure what yet. I tag Sparkly Mummy and Me, You, Baby Too to take part, if they want to and they don’t reckon it’s too late! It’s time for my weekly feature, #blogtoast Tuesday, where I toast other blogs I’ve discovered and enjoyed in the previous week. I toast them like you do with champagne, not like what you do to bread, just to be clear. I have been featuring 3 blogs every week, but that’s getting to be too much for my brain. At least it is for me tonight. So I’m only featuring two this week. We ordered our new kitchen for our new extension that’s being built. That was a nerve-wracking expensive purchase, full of lots of decision-making. We moved my 22-month-old from his cot to a big boy bed. Someday he might even sleep in it – he certainly didn’t last night. And we dealt with a wicked nit invasion. I’d never had or seen lice before so I found that pretty stressful! So I think you might see a theme for this week’s post – two blogs with recent posts about staying calm! I discovered this blog tonight while participating in the #EatSleepBlogRT linky. She was a featured blogger on Petite Pudding’s newbie showcase. 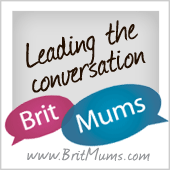 I thought her featured post on mindfulness for mums and dads offered a really realistic approach to parenting. It sets goals but keeps in mind all of the challenges life puts in the way. I have to admit that I have never thought seriously about mindfulness – it all sounded a bit hippy-dippy to me – but her site is very convincing about it. Her About page discusses the scientific evidence that points to mindfulness being healthy for body and mind. She also explains how it is easier to put into practice during our busy daily lives than you might think. And her tone of writing is down to earth and not even slightly worthy or preachy. She has changed the way I think about mindfulness and I’m going to make more effort to incorporate it into my life. I also really liked her post about mindfulness for bloggers – it’s so easy to let blogging and social media take over your life! 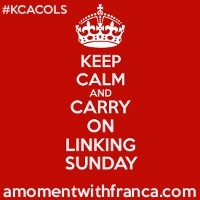 I first found this blog in the #KCACOLS Facebook group. She posted ‘Negative Automatic Thoughts, Part 1: What on earth are NATs?‘ I had never heard of NATs before, and I’m surprised about that. It should be something people are talking about. Feelings of inadequacy that intrude on your life and cause anxiety must be something that affects a lot of people. I can certainly see some of these symptoms in myself. And giving a name to this, instead of just passing it off as no big deal, can be a step towards coping with it. I also enjoyed her post about ‘Finding Your Calm Button‘. It’s about finding the one thing that can calm and centre you when you feel your day and your thoughts are spiralling out of control. When I was younger and used to live in the USA, I would go for a drive to calm down. Now I live in the UK, that sounds like a silly idea! Driving here seems like much harder work – or maybe I’ve just realised that getting behind the wheel when you’re upset probably isn’t the best course of action. On the weekend when I was freaking out about lice, I stopped and had a cup of tea – I’ve obviously been well assimilated into British culture. But I am going to think about another way to calm myself when caffeine isn’t at hand!